The Tasmanian Association of Vocational Rehabilitation Providers Incorporated (TAVRP Inc) is the peak body representing professional Occupational Rehabilitation Providers in Tasmania. Formed in 1988, TAVRP Inc has played an active role in the development and implementation of Occupational Rehabilitation Services throughout Tasmania. 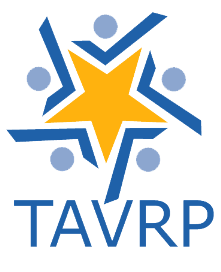 TAVRP Inc is committed to the ongoing professional development of its membership and the continual improvement of performance standards in the field of Occupational Rehabilitation. Who provides Occupational Rehabilitation services? Occupational Rehabilitation Providers are professionally qualified people drawn from a range of allied health backgrounds such as Occupational Therapy, Rehabilitation Counselling, Psychology, Physiotherapy, Nursing, Exercise Physiology, Medicine or other professions approved by the Association. These services are provided under the legislations of Worksafe Tasmania, Comcare Australia and Motor Accidents Insurance Board of Tasmania (MAIB).